Orlando Calixte...resides in Distrito Nacional, Dominican Republic. Hit .270 (108x400) with 52 runs, 15 doubles, 3 triples, 11 home runs, 48 RBI and 14 stolen bases in 125 games with Triple-A Sacramento…appeared defensively at 6 positions: shortstop, third base, right field, left field, second base and center field. Appeared in 29 games with San Francisco and hit .143 (7-for-49) with six RBI ... Was recalled by the Giants five separate times during the season ... Played all three outfield positions in his Giants debut on May 30, becoming the first Giant to do that in a game since Randy Winn on May 10, 2009 ... Hit .243 with 15 doubles, five triples, 14 homers and 43 RBI in 97 games with triple-A Sacramento. Split the season between double-A Northwest Arkansas and triple-A Omaha in the Royals' minor league system...combined for a .274 batting average with 26 doubles, five triples, 11 home runs and 19 stolen bases in 126 games. Was not tendered a contract by the Royals following the season and became a minor league free agent... was signed by the Giants in November. Made his Major League debut on April 19 vs. Oakland, filling in for an injured Alcides Escobar...also pinch-hit vs. Cleveland on May 6. Spent the majority of the year with triple-A Omaha, playing in 107 games for the Storm Chasers...ranked 12th in the Pacific Coast League in stolen bases (22). Played in 15 games for Estrellas de Oriente in the Dominican Winter League. Orlando spent the entire year at Northwest Arkansas (AA), playing in 96 games…missed the first month of the season due to visa issues...Selected to the Texas League All-Star Game for the second-straight season...Blasted a career-best 11 homers, which were second-most by a shortstop in the Texas League…hit a walk-off solo shot to beat Springfield, 9-8 on May 11, just his second game of the year...Batted .262 with 17 extra-base hits (.433 SLG) at Arvest Park, compared to a .219 average and a .316 slugging percentage on the road...Also hit .273 with a .479 slugging percentage in his first 32 games, while he batted just .225 with a .324 SLG over his final 64 contests...Played in six games for Estrellas de Oriente in the Dominican Winter League. Played in 123 games for Northwest Arkansas (AA)...tied for ninth in the Texas League in at-bats. Named a Texas League All-Star and a MiLB.com Organizational All-Star. Was selected as the 18th-best prospect in the Texas League prior to the season and the 10th-best prospect in the Carolina League entering 2012 by Baseball America. April 14, 2019 Tacoma Rainiers activated SS Orlando Calixte from the 7-day injured list. April 3, 2019 Tacoma Rainiers placed SS Orlando Calixte on the 7-day injured list. 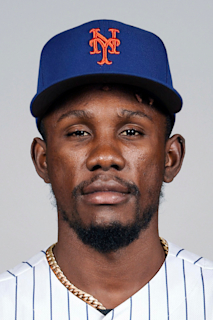 January 27, 2019 3B Orlando Calixte assigned to Dominican Republic. January 24, 2019 Seattle Mariners signed free agent SS Orlando Calixte to a minor league contract and invited him to spring training. January 24, 2019 SS Orlando Calixte assigned to Tacoma Rainiers. November 2, 2018 SS Orlando Calixte elected free agency. January 25, 2018 San Francisco Giants invited non-roster SS Orlando Calixte to spring training. November 27, 2017 San Francisco Giants sent SS Orlando Calixte outright to Sacramento River Cats. October 17, 2017 3B Orlando Calixte assigned to Estrellas Orientales. September 3, 2017 San Francisco Giants recalled SS Orlando Calixte from Sacramento River Cats. August 24, 2017 San Francisco Giants optioned SS Orlando Calixte to Sacramento River Cats. August 15, 2017 San Francisco Giants recalled Orlando Calixte from Sacramento River Cats. August 14, 2017 San Francisco Giants optioned OF Orlando Calixte to Sacramento River Cats. August 13, 2017 San Francisco Giants recalled Orlando Calixte from Sacramento River Cats. July 25, 2017 San Francisco Giants optioned OF Orlando Calixte to Sacramento River Cats. July 22, 2017 San Francisco Giants recalled Orlando Calixte from Sacramento River Cats. June 9, 2017 San Francisco Giants optioned 2B Orlando Calixte to Sacramento River Cats. May 30, 2017 San Francisco Giants recalled Orlando Calixte from Sacramento River Cats. May 24, 2017 Sacramento River Cats activated OF Orlando Calixte from the 7-day disabled list. May 17, 2017 Sacramento River Cats placed OF Orlando Calixte on the 7-day disabled list. March 20, 2017 San Francisco Giants optioned OF Orlando Calixte to Sacramento River Cats. December 26, 2016 SS Orlando Calixte assigned to Aguilas Cibaenas from Estrellas Orientales. November 18, 2016 San Francisco Giants selected the contract of Orlando Calixte from Sacramento River Cats. November 11, 2016 San Francisco Giants signed free agent SS Orlando Calixte to a minor league contract. November 11, 2016 SS Orlando Calixte assigned to Sacramento River Cats. November 7, 2016 CF Orlando Calixte elected free agency. May 26, 2016 CF Orlando Calixte assigned to Omaha Storm Chasers from Northwest Arkansas Naturals. April 6, 2016 OF Orlando Calixte assigned to Northwest Arkansas Naturals from Omaha Storm Chasers. December 15, 2015 SS Orlando Calixte assigned to Omaha Storm Chasers. December 8, 2015 Kansas City Royals signed free agent SS Orlando Calixte to a minor league contract and invited him to spring training. December 2, 2015 SS Orlando Calixte elected free agency. November 2, 2015 Kansas City Royals activated SS Orlando Calixte. October 26, 2015 SS Orlando Calixte assigned to Estrellas de Oriente. October 5, 2015 Kansas City Royals recalled SS Orlando Calixte from Omaha Storm Chasers. May 11, 2015 Kansas City Royals optioned SS Orlando Calixte to Omaha Storm Chasers. May 1, 2015 Kansas City Royals recalled Orlando Calixte from Omaha Storm Chasers. April 24, 2015 Kansas City Royals optioned SS Orlando Calixte to Omaha Storm Chasers. April 18, 2015 Kansas City Royals recalled Orlando Calixte from Omaha Storm Chasers. March 18, 2015 Kansas City Royals optioned SS Orlando Calixte to Omaha Storm Chasers. November 20, 2014 Kansas City Royals selected the contract of Orlando Calixte from Northwest Arkansas Naturals. May 10, 2014 SS Orlando Calixte assigned to Northwest Arkansas Naturals. November 25, 2013 SS Orlando Calixte assigned to Estrellas de Oriente. November 25, 2013 Estrellas de Oriente activated SS Orlando Calixte. March 29, 2013 SS Orlando Calixte assigned to Northwest Arkansas Naturals from Wilmington Blue Rocks. February 25, 2013 SS Orlando Calixte assigned to Kansas City Royals. June 21, 2012 Orlando Calixte assigned to Wilmington Blue Rocks from Kane County Cougars. May 24, 2011 Orlando Calixte assigned to Kane County Cougars from DSL Royals. May 28, 2010 DSL Royals signed Orlando Calixte.